I love Christmas! Actually I always have quite a quiet Christmas with just the family I already live with but I love it. It's the one thing that makes this part of winter bearable for me.. Although I am still TeamSummer all the way! Today is my sisters birthday which always signifies the start of Christmas in our household - the decorations are never allowed to go up until after her birthday has been celebrated! So, to celebrate her birthday and get us in the mood we had a right festive day out today and it was lovely! If you have read my blog before you'll know that I am not a big fan of winter - I hate coldness and I hate having to wear lots of layers! 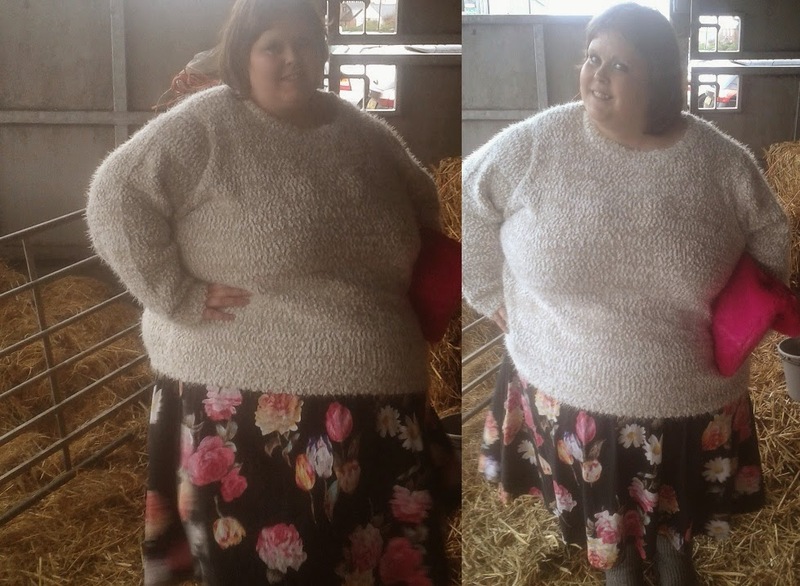 However, when Fashion World offered to send me a jumper from their knitwear range (It goes up to a size 38, how good is that!?) I thought I'd give it a go. 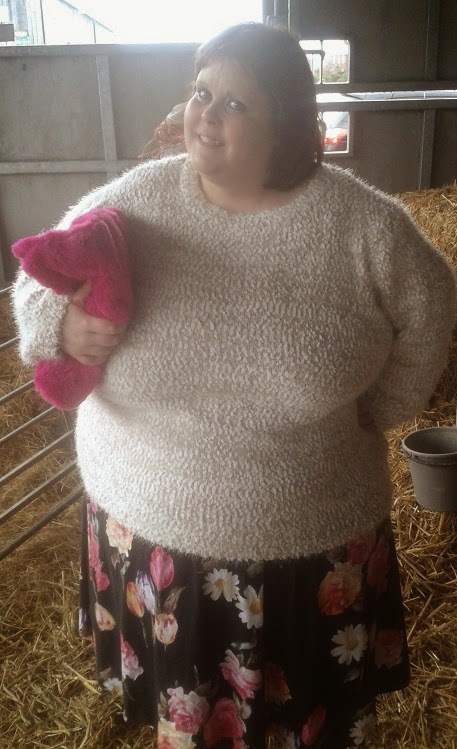 I went for this fluffy texure jumper, simply because it is SO cute! 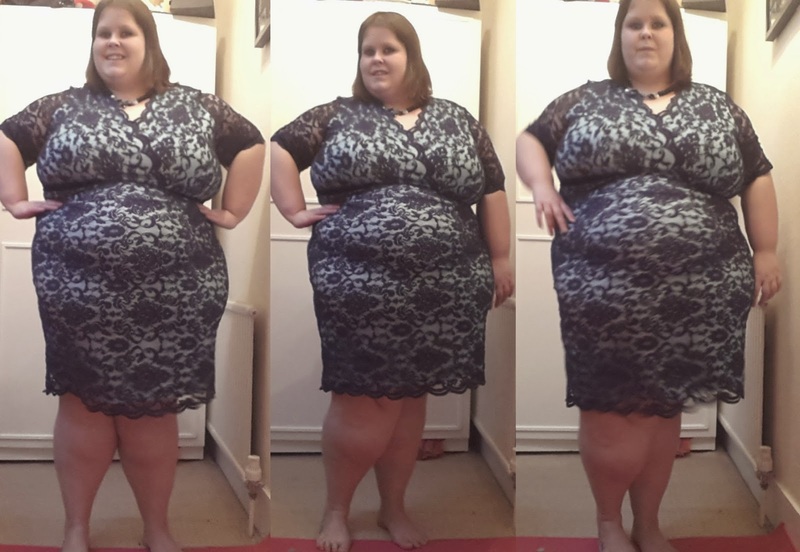 I actually sized up twice just because I wanted the big, baggy oversize effect and I have to say I loved it! I wore it over an old stock ASOS prom dress and I think it worked perfectly. The ASOS dress itself only has a vest top at the top, so I knew that wearing this massive, fluffy jumper with it wouldn't be too much! I stayed lovely and warm while I was outside, without being a hot, sweaty mess on the inside. In the end we went to a farm to see some animals (including reindeer), a garden centre with some beautiful Christmas decorations and had a roast dinner (complete with pigs in blankets on the way home). It was perfect! This jumper is the idea compromise for winter for me and I can definitely see that I'm going to get a lot of wear out of it! Fashion World seem to be getting right into the Christmas spirit, with this app online that allows you to create and send an e-card to your loved ones! 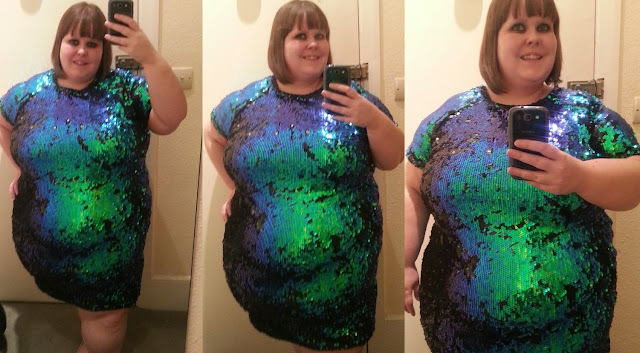 I knew that Fashion World went up to a size 32, but I have to say I didn't realise that they went up to a size 38... absolutely brilliant news in my eyes! You might have seen that in the last week I have moved back to Lancashire. 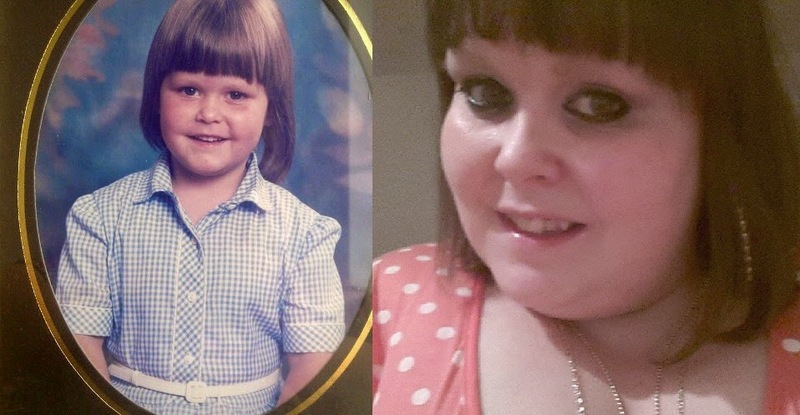 After 2 years in the busy, Big Smoke it's a massive change. One of the nicest things about being back is being near my family again especially for Mothers Day. 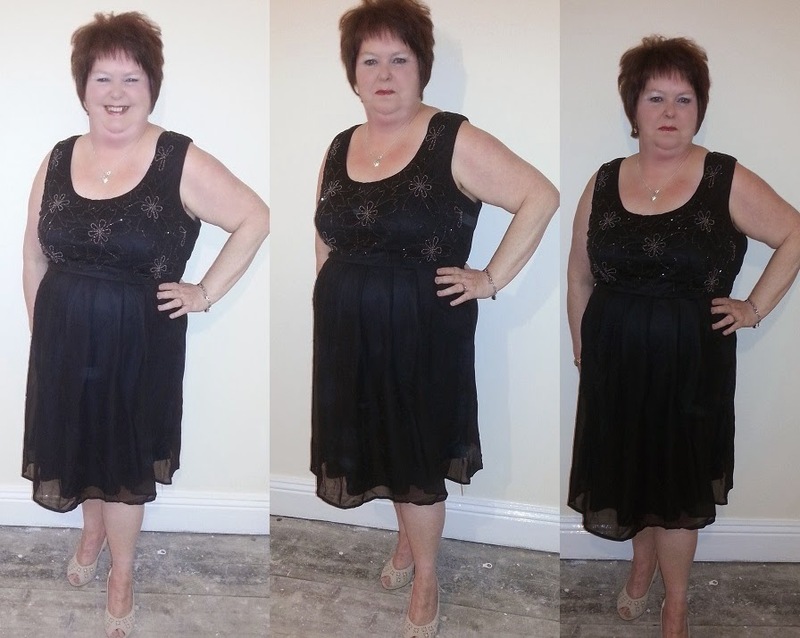 The lovely team at Fashion World sent both my mum and I a dress to wear on Mothers Day and it's such a treat! 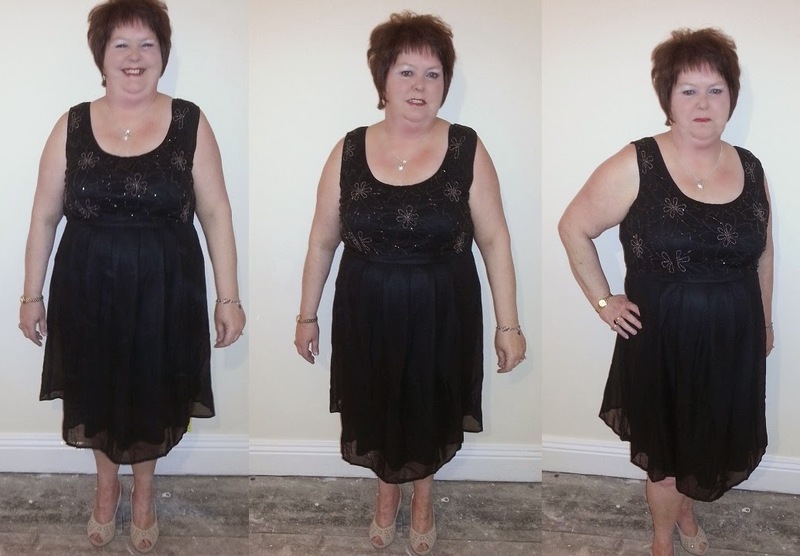 Being able to let my mum pick out a dress of her choice and give her an excuse to get all dressed up was lovely. 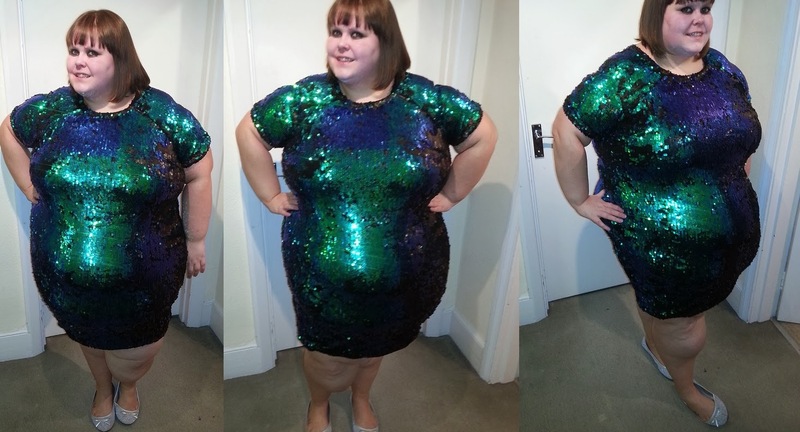 She choose this Short Beaded Dress and I think she looks bloody lovely. I asked mum what she thought of the dress and she loves it. She really loved the material and fit of the dress, it;s comfortable with a bit of glitz and you can't go far wrong with that! 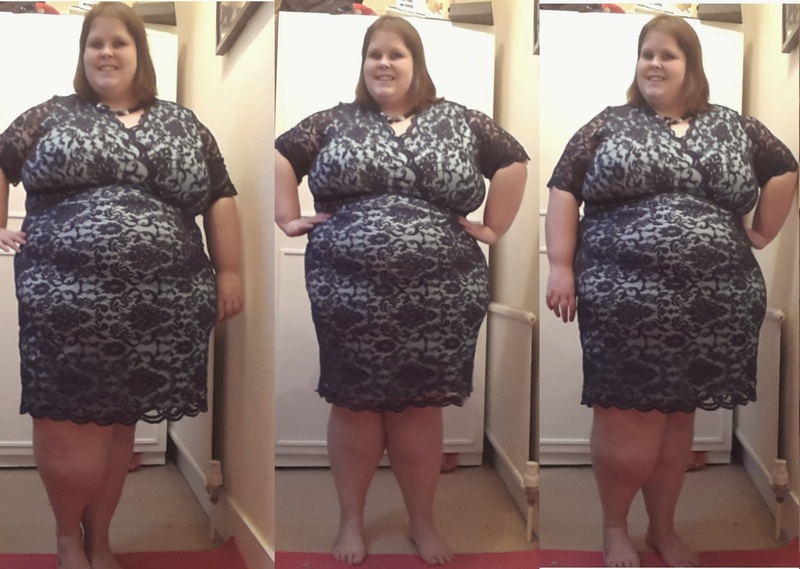 The length of the dress is perfect for her too - she really is over the moon with it! 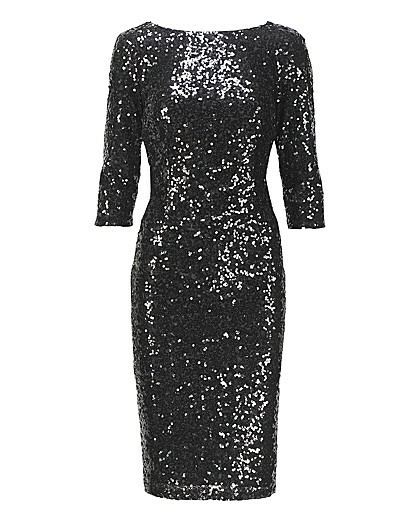 It's currently on the site, up to a size 32 for just £60.00! When it came to choosing my dress I thought I would go for something a little different. 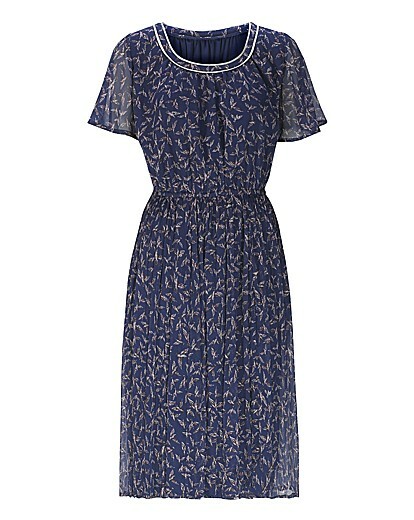 Maxi dresses are certainly something that my wardrobe is lacking so I went for this Floral Maxi Dress by Jeffrey & Paula. 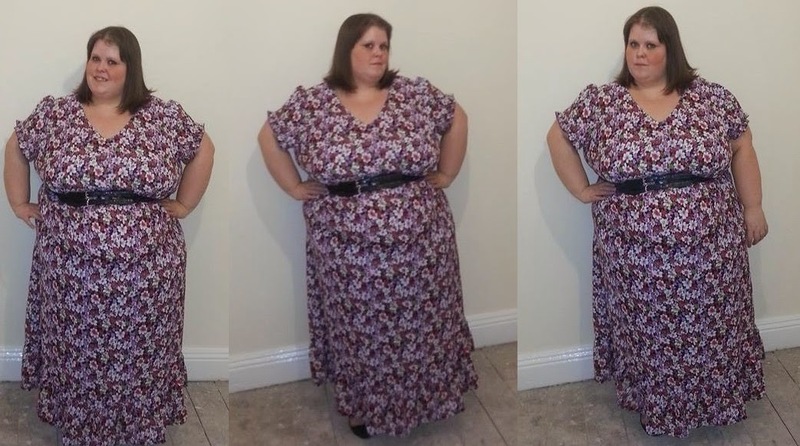 I am a shortie but the length is great on me, especially when I belt it up as I so often do with my dresses! It's on the site up to a size 32 (I always find Jeffrey & Paula dresses to be a generous fit so you can easily size down) and is only £55.00! What are your plans for this Mothers Day? 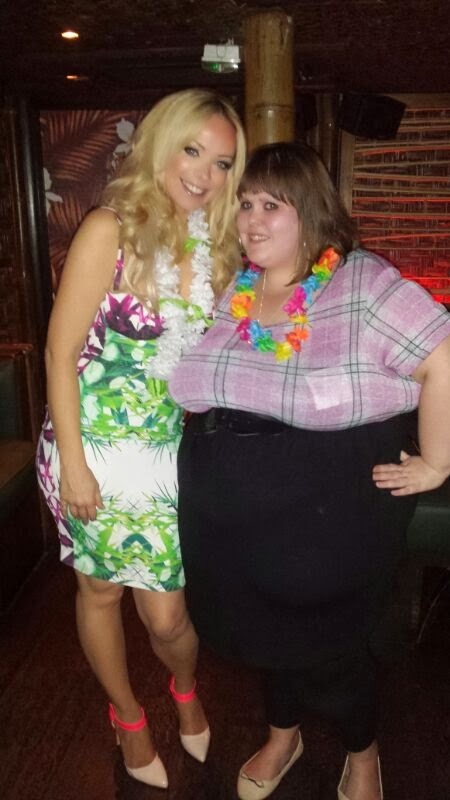 Last week the lovely ladies at Fashion World invited me to a tiki party in Central London - how could I resist? 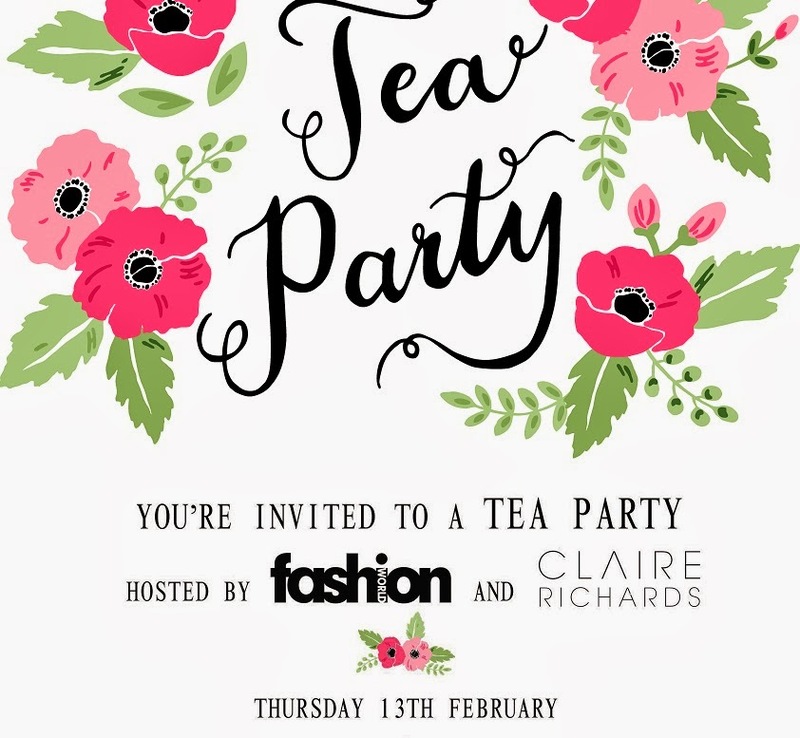 The event was in honour of the lovely Liz McClarnon from Atomic Kitten, who has launched her own range of swimwear with Fashion World. 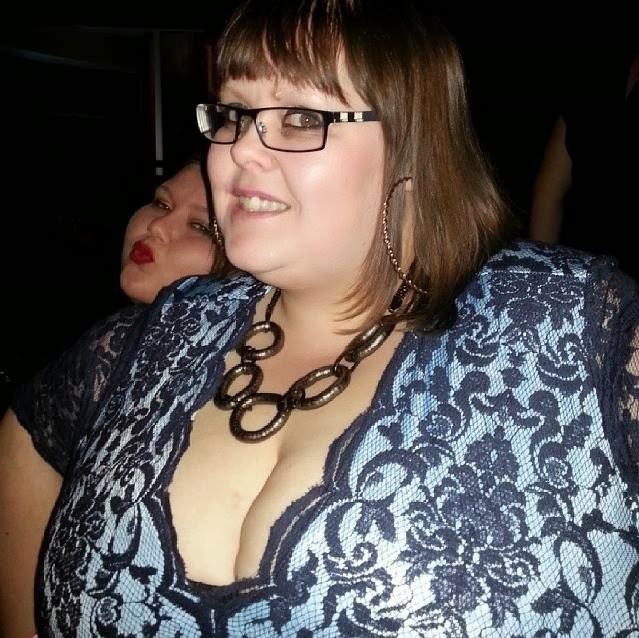 When I was invited to the event, I knew I wanted to go and have a nosey but I didn't expect to excited, after all I hadn't heard of Liz launching a plus size range. 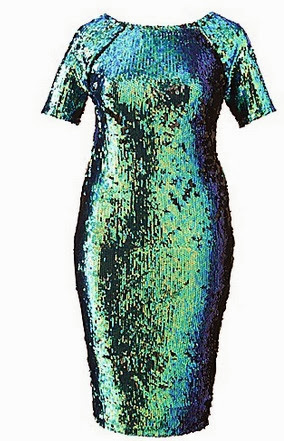 I headed over to the Fashion World website to have a nosey and I was pleasantly surprised. 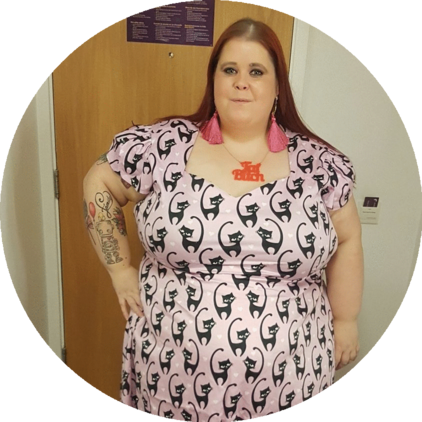 As with most of Fashion World items everything in Liz's range goes up to a size 32 - finally a 'normal' range that caters for everyone. 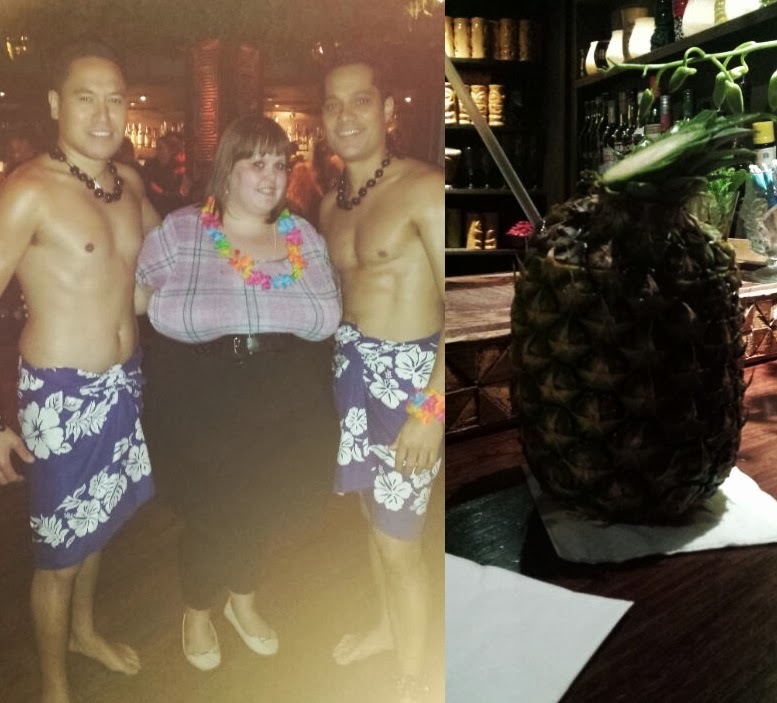 When I arrived at the event I was greeted by these two lovely men... and handed a cocktail presented in a real pineapple.. Let's face it, what more could a girl want? Pineapple not to scale - which is a shame! Liz was lovely throughout the whole evening and is clearly very passionate about her new range, which is great to see. I am not a swimwear expert but the pieces all felt nice to the touch, stretchy and high quality when I saw them at the range so if you're looking for swimwear then I would definitely give it a try! 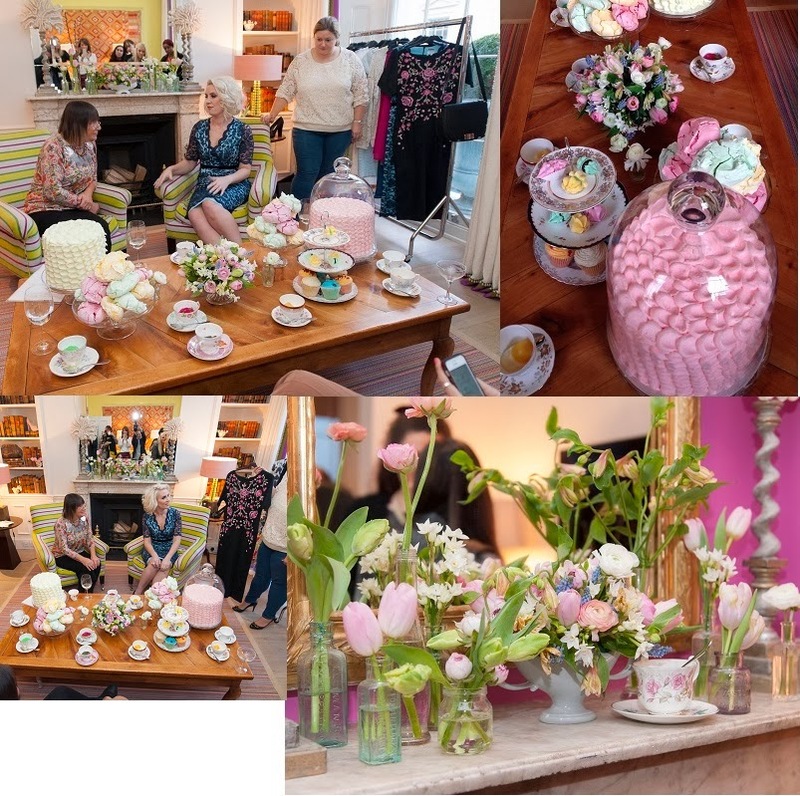 I attended the event with Lucia from U Can't Wear That - Fashion World kept the food coming and the drinks flowing and thoroughly looked after us all - thank you so much! Make sure you head over to the Fashion World website and check out Liz's swimwear range! Any summer holidays planned this summer?